Gazing into her future as she relaxes into the plush leather executive chair at her second-hand vintage mahogany desk. Clasping her motivationally themed coffee cup as the rays from the sunrise gently splash the brim, deep thoughts penetrate her mind and her soul as she methodically prepares for her day. She wakes with unprecedented purpose and drive and strategically maps out her day. Keyboard in hand she thoughtfully schedules calls, appointments, and networking activities in her digitally organized world while filling every visible gap with the necessities she mechanically knows to include in her entrepreneurial life. As she schedules her posts to include her well planned and meticulously created marketing memes, her day transforms from a nestled and gentle cocoon into a rolling boil of nonstop obligatory activities. Phone calls, social media communication, prescheduled video conferencing all blend seamlessly with educational webinars, audiobooks, and podcasts. She steps back for a moment to observe her creation. Did she forget anything? Sometimes she does. Most times she does. She knows intuitively that she allotted most of her time to her masterpiece of a day while excluding the foundational nuggets that had her become an entrepreneur in the first place. Has she taken the same thoughtful time to plan cherished moments with herself or her family? Inevitably, she shelves those thoughts for the day that business picks up, a project gets completed or a milestone is reached. Brilliant to the naked eye, successful on paper and empty on the inside. Fulfillment, the significant missing component to this otherwise well-oiled machine gnaws at her subconscious mind. Am I doing it right? Is this all there is? Am I doing the most valuable job I was placed here to do? Suddenly she feels very alone. Deeply and inexplicably alone. Alone despite her full life. Alone with her wonder, not knowing how to direct her thoughts and emotions to a place of resolve. What she may not realize is that highly conscious people have these introspective conversations often. Processing their purpose in comparison to the work they currently do is part of personal and spiritual development. While she is not technically alone at this level of growth, she may not be connected with others who are simultaneously having the same transformational experience. She carefully chooses whether to take on this adventure alone or hire a professional who can help her create a personalized roadmap to her self discovery. Once she realizes that her aloneness is, in fact, her private life teacher she begins to pay attention to it as the positive entity it is. Probing, internal questions help formulate the mastery of her life and then …. suddenly … a window opens. The window revealing all she ever needed. Fulfillment. Fulfillment …. she sits with that for a moment. Does she feel fulfilled? Does she even understand what that means to her? She learns that fulfillment is feeling completely satisfied with your life. Unfortunately, fulfillment is highly understated in comparison with freedom, financial reward and fun. As they are all ardently desired and weigh heavily in the personal reward column, you can have all of them while lacking fulfillment and not knowing why you continue to fall short. She begins to get what’s been missing and why she has felt so empty and alone. Fulfillment cured her aloneness. She couldn’t have both at the same time. She found fulfillment and began to walk with a metaphorical bounce in her step, smiling with content, feeling satiated and alive! Her puzzle is complete. She is complete. The moral to her story – while compromise is unavoidable, selling out on that which brings fulfillment will make even the best of lives feel empty. How did she go about finding fulfillment? Stay true to your joy! Fran Asaro is a Virtual Partner helping women entrepreneurs over 50 create fulfilling laptop lifestyles. She helps them build age-appropriate businesses that support dignity, joy, and fun. Be someone’s Hero and the reason for their success. Having a vision without the proper resources is one of the most restricting feelings you can imagine. Some may have a dream of starting a small business while others are fantasizing about changing the world in some way. There are those who just want to break out of the old and rebuild their lives. The reasons are endless. Motivated people may have education and no platform or others have no education but they have drive and determination Either way, when you are ready to leave your mark and you don’t have the tools, it beats down on you… day after day after day after day. When I was 21 years old I convinced my husband at the time to open an Auto Body Repair Shop. He was well-trained in a vocational school and very good at his trade. I had the background of administration and sales. We had no clue what we were doing but we knew we wanted to do it. No formal college, not a dime to our name. Just drive and passion. I kept saying, ‘what have we got to lose.’ Even back then (almost 40 years ago) I knew the gold in being an entrepreneur and even though the businesses may have changed, I never looked back to consider corporate America…ever. What do you do when you have talent, drive, and desire but little or no money? For us, we called HERO, my father. We asked him to borrow $2000 to rent a warehouse. He agreed and I insisted we had a formal payment plan with interest. I drew it up and he signed it. It felt so official. We didn’t know what to do after that but we figured it out. We got a line of credit from a really supportive paint supplier who stocked our shop with all our necessary supplies for months. They too invested in us. We purchased a beat-up old desk from the phone company and put up a shed in our 900 sq ft warehouse to use as our office because we didn’t have the money to build a real one. We improvised. We knocked on doors for business. We followed up on every lead we had. We eagerly sat outside our warehouse at the end of every day until we finally got our first customer. Who do you think was the proudest? YES, my father was proud. He was proud from year one. He, being retired, would come in and help out. Everything from driving cars to dealerships we were doing work for, to sweeping the floor. He was THAT proud of us. It took us about 2 years to pay back that $2000. We struggled. We ate fish almost every night that my husband had caught and ran up a department store credit card to buy dog food and necessities. We had a blast!! After all, it was OURS and we got to build something amazing. We had a blast even before the break came when all of a sudden we found that we could afford things. First, we bought a car, then a new boat. THEN we took a cruise to Alaska and bought a bigger home. That all began only 5 years into our launching the business. Do you think my father took responsibility for our success? You’re damned right he did. I am sure he shared about us with his friends all the time! My ex, Frankie and I still reminisce about those good times. Our friends still share about those times. It was something special. I share this story with you because imagine if my Hero / father hadn’t invested in us. Where would we be? Working jobs. Yes. Earning a nice income, I’m sure. But what we got from having someone believe in us and growing something from a seed was priceless. Since then I had a lucrative Real Estate career and a wonderful coaching business. And guess what? I help others start new businesses. It’s a gift I want to give everyone who has that passion. As someone who is approached by many entrepreneur wannabes, the part that frustrates me is when they can’t afford me. I kept my fees the same for 12 years to help. 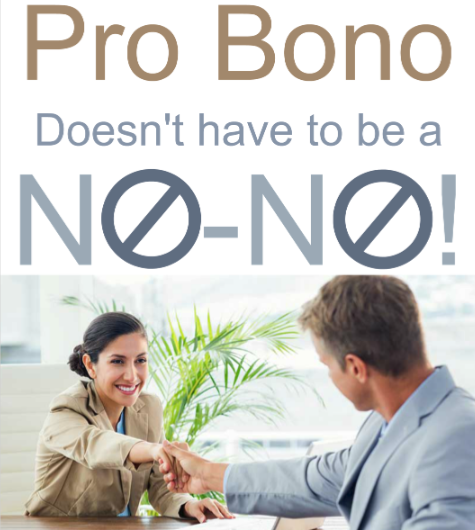 I have had my share of ProBono clients to help out. I have become creative to offer affordable support to those who want it. I created groups at my home for women entrepreneurs to teach them about business. All they paid was $5 and if they didn’t have it, they were invited anyway. I do what I can. Today I would like to go a step further. I’d like to invite the loved ones of these Superstars to come forward and help them out. They may have asked you for financial support in the past and you declined or they may be too proud to ask. 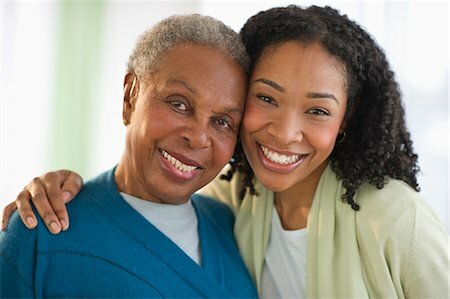 Either way, if you know your loved one has a passion and is challenged by financial resources, offer them help. They may need schooling, coaching or just someone to encourage them to go forward. Who Invested in You and Changed Your Life Forever? Who was YOUR Hero? If someone else invested in you, and gave you a future that wouldn’t have been possible otherwise, then this may be your opportunity to pay it forward. If no one invested in you, this maybe be your opportunity to give to someone what you wish had been given to you and change a life forever, including yours. If you or someone you know has a loved one who needs a partner to help them move forward don’t ignore a creative mind. We need them. If you don’t know how to help, there are many ways. 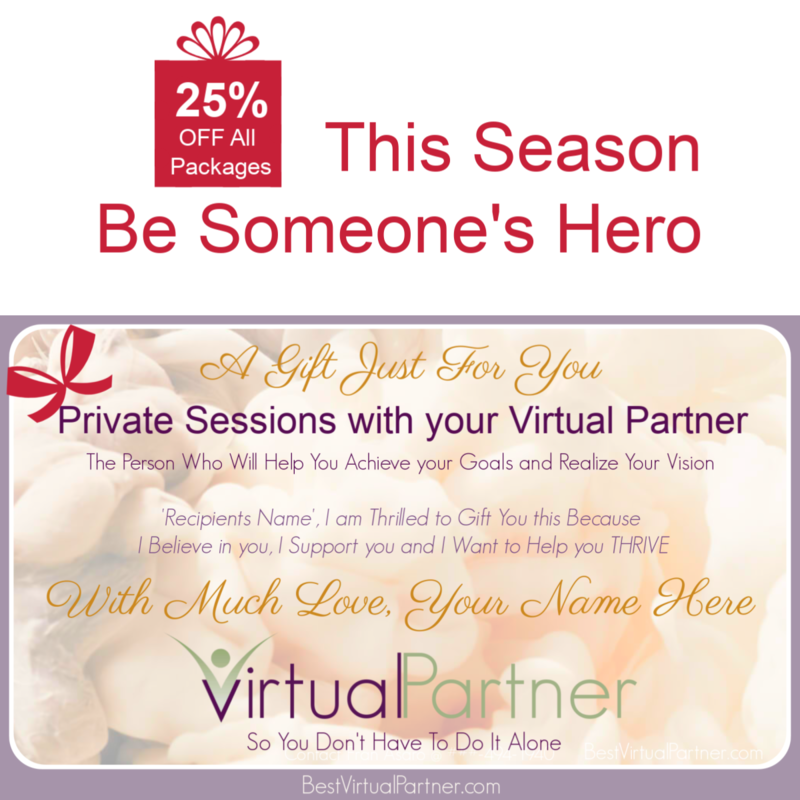 One is that you can consider my Virtual Partner program. It’s a one on one video call experience where we walk through all phases of their needs. I hung up my coaching title and took on this title because its a less authoritative experience. Still, it has a leadership level of support with resources beyond your imagination. It’s just gentler and more freedom based. It consists of all my years of entrepreneurial wisdom combined with fun, empowerment and motivation. If you think this is something your loved one would love to have, then let’s talk or just go to my Virtual Partner site and take a look at some of what I offer. If this is NOT what they need, contact me anyway and I’ll help you find what works for your situation. Please be the hero in someone’s life, believe in them, be proud of them, INVEST in them. They are not the only ones who will benefit. YOU too will be rewarded with the fulfilling feeling of making a difference in someone’s life. 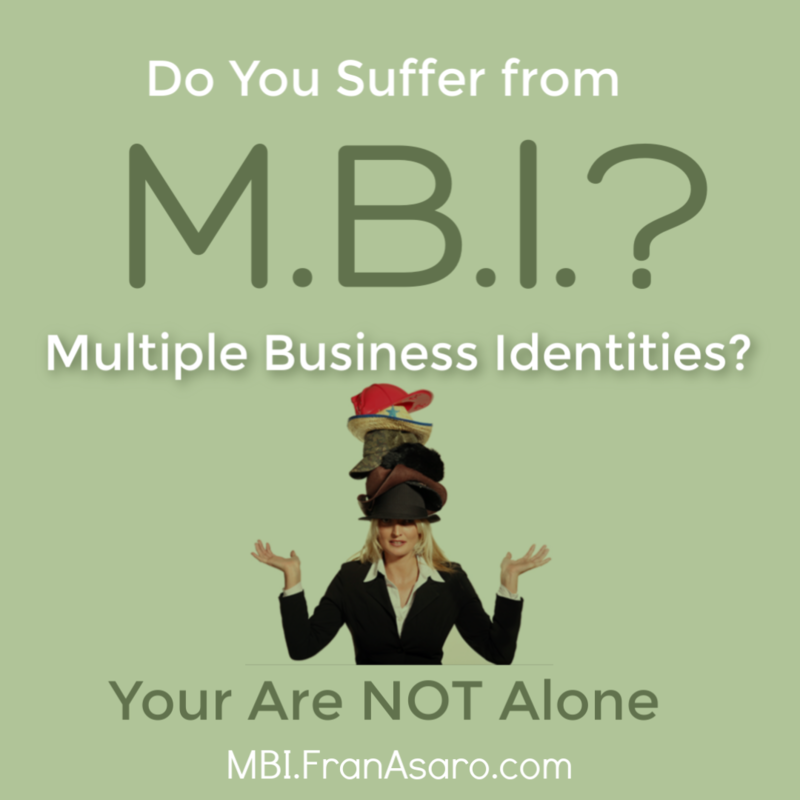 Have you heard of this ‘affliction’ called M.B.I., Multiple Business Identities? Conflicting messages about having M.B.I. If you’ve been around for a while then you’ve been introduced to the idea of the benefits of having multiple streams of income. It’s encouraged by many and yet, it becomes a double-edged sword for some. If you thought you were doing the ‘right’ thing by having a few sources and then were criticized by others who felt you were too scattered and probably unsuccessful, then you may want to read on. You’re probably reading this because you either know someone who fits this title or you are in fact the person who does. As a business coach and a fellow ‘victim’ of M.B.I., I know many people who have it. They either have a job and a business they are building on the side or they literally have several businesses that they run simultaneously. Depending on who the observer is, this could cause the person with M.B.I. to feel shame or as if they are ‘doing something wrong’ because after all, most people focus on one business at a time. (I don’t know how they do it and I don’t want to) So, when I say are you ‘suffering’ from M.B.I. it’s because many who have it are suffering from what they think about it, hear about it or the way they manage it. Not because they have it. I personally have several business identities of which I am proud of, think of as my ‘babies’ and am building at the same time. Part of the reason I have M.B.I. is that I research online businesses for my clients and I like to provide resources, educated advice and even opportunities when needed. The other reason I have M.B.I. is that I fall in love with great ideas, projects or concepts and I am not willing to let them go just because I already have 10 others. Multiple Business Identities, while very common, are usually kept secretive due to the fact that most do not want to be distracted by outside influence – hey! we are way to busy to be distracted! Before we go on, let’s find out if you truly suffer from M.B.I. Because while you may ‘think’ you are afflicted, it may just be a passing fancy. 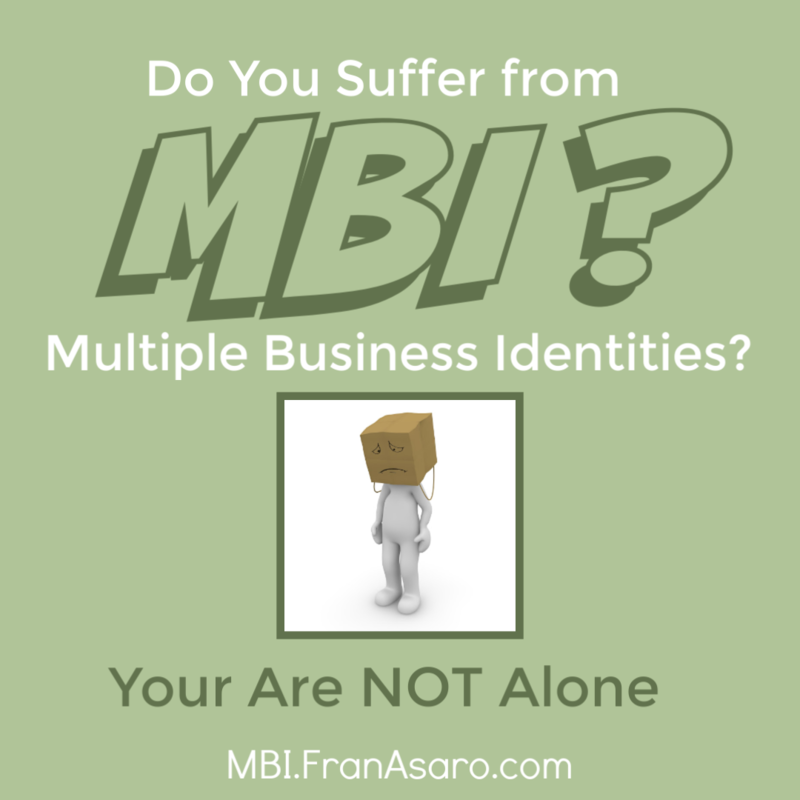 A person with TRUE Multiple Business Identity will recognize themselves in one or more of the symptoms. If you have several Facebook groups/pages and multiple twitter / social media accounts in order to profile all of your businesses. If your coach is telling you to choose ONE business and build only that one, but you don’t know which to choose and your heart tells you not to. If you are REALLY taking the ‘you should have multiple streams of income’ statement very seriously. The causes of M.B.I. vary among those afflicted. It occurs mostly with having a particular mindset similar to those listed below. Inspired by others with M.B.I. So, obviously, the common thread in the cause of M.B.I is the fact that those who have it, want it all, and are not willing to choose. While there may not be a cure for M.B.I. mostly because those afflicted don’t want to ‘recover’ from it. There is a way to live with it more comfortably. Stop listening to those who don’t GET YOU! – You won’t change their minds and let’s hope they don’t try to change you. Unless it’s bothering you, there is nothing wrong. Be proud of your M.B.I. If you are suffering from overwhelm, lack of support, structure or knowledge on how to manage your M.B.I., find a fellow M.B.I.’er who can share their experience, strengths and hopes with you and help make M.B.I. more doable, lucrative and fun. Final words for those with M.B.I. So my advice to you is to come out of the closet and seek out others with Multiple Business Identities There is nothing to be ashamed of, especially if you are muli-successful! Contact Fran if you’d like to find out more about her and to see if having a Virtual Partner is right for you. A message from a fellow M.B.I. – After reading this article, a friend/colleague of mine wrote the following comment. I asked her if she’d allow me to post it here and she agreed. I thought it was important enough to profile it and not lose it among any comments. From Patricia Hartfield Thanks so much Fran Amendola Asaro I read this entire article it was very helpful as a few weeks ago my mom advised me that her friends supposedly see me on FB and won’t do business with me or buy from me cause I’m all over the place. I’m like Really-and it was hurtful in a way as I don’t advertise a lot about my businesses that I’m involved I mainly share Wellness info as a Self-Care Wellness Educator… I’m in doTerra and used to share that but now only use for Personal aspects of things not as a business. I’m in Nikken but I work and share it Part-time something I could not let go and now I’m in training and starting a Skincare and Facial Exercise business. One thing that I have noticed that no matter what businesses I have been plugged into they all have been consistent in ways of Wellness and Fitness is what it all comes down to. Now if I go from Wellness and Fitness to doing jewelry then I can see the complaint but at this point, I don’t. 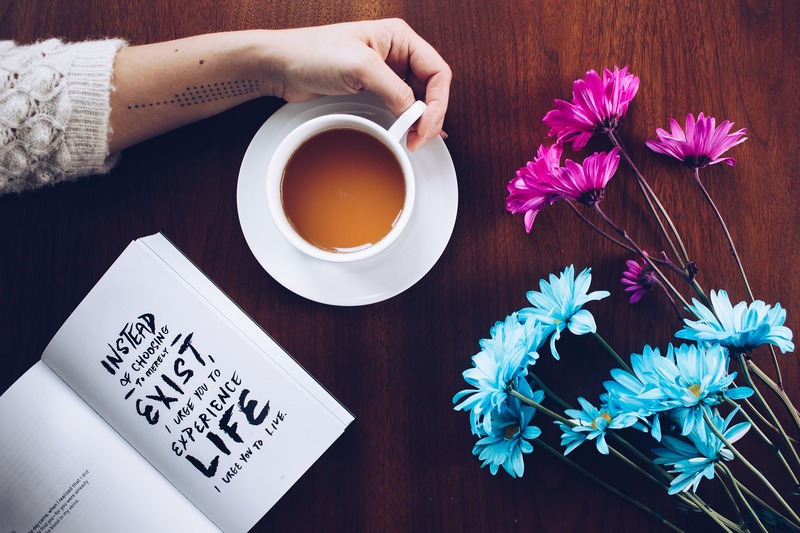 So your article of being an MBI person was well-needed today-one of my dosha’s in Ayurveda is Creativity-and that I can definitely agree with thank you. 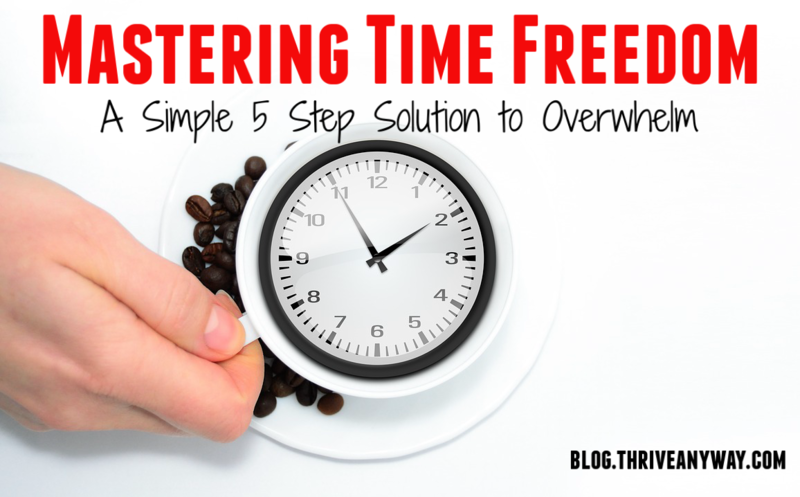 This is step 2 to Mastering Time Freedom – A Simple 5 Step Solution to Overwhelm. If you have not yet done step 1 yet, I recommend you begin here. So, now that you’ve completed your Purge List I hope you are experiencing a sense of relief already. As we discuss Step 2, I would like to preface it by saying that Mastering Time Freedom is a foundation for you to anchor into. You may stick with it as your new way of organizing your life, or you may waiver. I’m asking that you do all the steps involved, even if you modify them in some way, so you reap the full benefits of the system. Think of it as a recipe that would not taste the same if you left out an ingredient. You might substitute to meet your preferences, however. Purchase or Download a Week at A Glance Calendar – In order to have a visual of your life, a week at a glance provides more of a perspective than a day and it’s less overwhelming than a month view. Think of the days when you went to your Doctor office and they had a large week at a glance calendar on their desk to schedule appointments. It was a Birdseye view that was efficient and effective. I know this is a simple step, (aren’t you glad) however, in order to be prepared for the next 3 steps you’ll need time to get one ready. Choose – Decide whether you are going to purchase an inexpensive calendar or download a PDF form or if you have one in your Outlook program (which is what I use) you are ready. Get Creative – If you don’t like the traditional week at a glance, create one on your wall or on a poster board. Don’t do anything with it just yet. That’s coming soon. Tomorrow we begin breathing life into your Time Freedom system. I’m excited, are you? Ok, this completes day two of the Mastering Time Freedom Series. Feel free to sign up for this blog to receive each step of the series in your inbox. If you are looking for additional support with mastering your time, contact me. 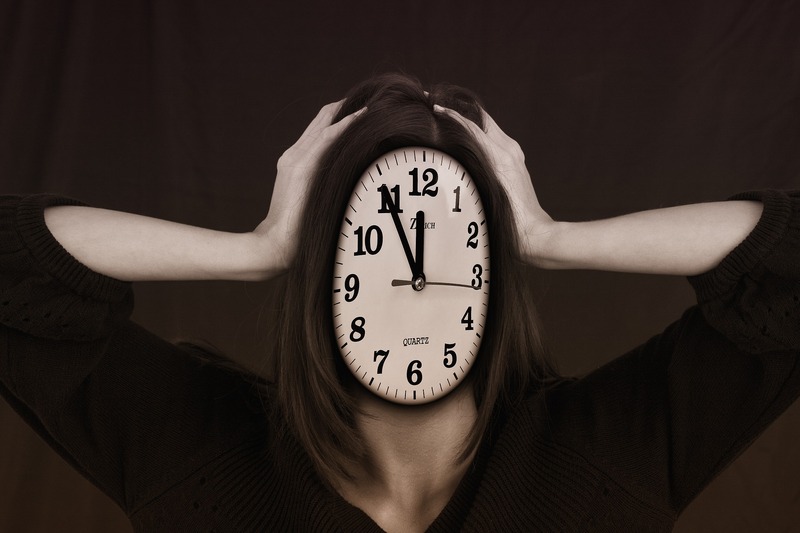 Why am I entitling this article Mastering Time Freedom vs Time management? Because Time Management has gotten a bad rap over the years. Why? Because it feels like work, requires you to commit to things you don’t want to do and no one wants to keep doing it. Time is money! Right? Ugh, We have such hard quotes embedded in our brain and even though they were meant to DRIVE us, they may have actually thwarted our success. We no longer want to be forced to do things, we want to own our life and our time. If you could find a solution to your overwhelm with a simple process that has no boundaries, just suggestions. A system that allows bendability and freedom, would you want to know what it is? My work requires me to help my clients accomplish that which they resist for whatever reason. fear, overwhelm, physical challenges, or just plain too busy, there are many ‘excuses’ for not accomplishing things. I personally do not do well with accountability and rigidity. I don’t even use those words or practices in my work. So, how do you get things done when you don’t want to, feel stuck or stopped or don’t have someone forcing you to do it? I like to think as adults, we don’t need someone to parent us. When a potential client contacts me and asks me to whip them into shape, I tell them emphatically, ‘I’m not that type of Partner’. I developed a very workable Time Freedom plan that allows for everything to get done. At your pace, in your own way. I have been teaching this module for years. I am offering the outline here. If you would like more, including guided videos and pre-made forms, feel free to contact me. These 5 Steps are ALL important. Please take them one at a time and even space them out if you need time to prepare for the next step. Have fun with it. I get a lot of responses on how this has changed people’s lives now that they have a system. Some say they had more time to spend with family and equally important they had more time for themselves. I will GUARANTEE that you will either tweak this system to work for you or you will love it and stop using it one day. I’m here to remind you of the title ‘Mastering Time Freedom’. All I really want to accomplish here is to show you A WAY. A REALLY good way to enjoy doing what you want to do. If it works, keep doing it. If you need to change it, feel free. If you stop using is, guess what? You have a foundation to go back to whenever time gets the best of you. Fair enough? Step One: Purge – aka Mind Dump – Make a list of everything you need to accomplish. This is one of the most resisted steps. Why? Because people think they know everything they need to do. And you know what? You probably do. I’m here to tell you that keeping stuff in your head all the time keeps you from bringing NEW stuff your head. If you constantly remind yourself of all you have to do, you are wasting a LOT of energy and mind space. Most people who FINALLY do this exercise cannot believe the mental freedom they feel. Get a Notebook or Start a File – Get a really nice notebook or open a file in your computer. The object is to find a place that you trust will be there and you will remember where it is. It should also be easily accessible. If not, you will not empty your head out. This will only work if you empty out. Start your purge – The first step in purging is to just do a free-form purge. Enter everything you want to accomplish from cleaning out a kitchen drawer to creating a new design for changing the world. It’s all in your head so get it out. Coming up with 100 or more things is not uncommon. Check yourself – Take a look inside after you have written everything down. Can you think of anything else you have to or want to do? If so, put it down. If your list is private, then consider password protecting it. Organize your list – This is absolutely optional. I am adding it because I have clients who can’t have their business and personal combined. Feel free ONLY AFTER you have completed your purge to sort things out in any type of categories that serve you. Personal, Business, Smallest to Largest, Near Future to Long term. There are many ways to organize if you desire. Keep up your list – This is your home-base for all your thoughts. You will be visiting it regularly. So, you will want to add to it as often as you can to keep your mind empty and ready for new things. Enjoy your empty mind space – Just for giggles, please sit back and look at your list, knowing you have documented everything in your head. Then close your file or book and sit back and see how you feel. On a scale of 1-10 where were you before you started your list and where are you now when it comes to feeling like your mind is relaxed. Ok, this completes day one of the Mastering Time Freedom Series. Feel free to sign up for this blog to receive each step in the series in your inbox. If you are looking for additional support with mastering your time, contact me. You’ve done your ‘time’ in your work years. You worked hard and long. You FINALLY decided to take the leap to become self-employed. Now that you are there, you want to do a little something or a big something, but you want to pace yourself. You want to enjoy your senior years AND build your business. You may feel out of balance. What can you do to get organized, structured or just plain not work so hard? Marketing is a lot tougher these days. Remember when a newspaper ad and some flyers put you on top of your competition? There’s so much to know. And while you are capable of learning about it, you wonder whether you are in YOUR business or the MARKETING business. Right? 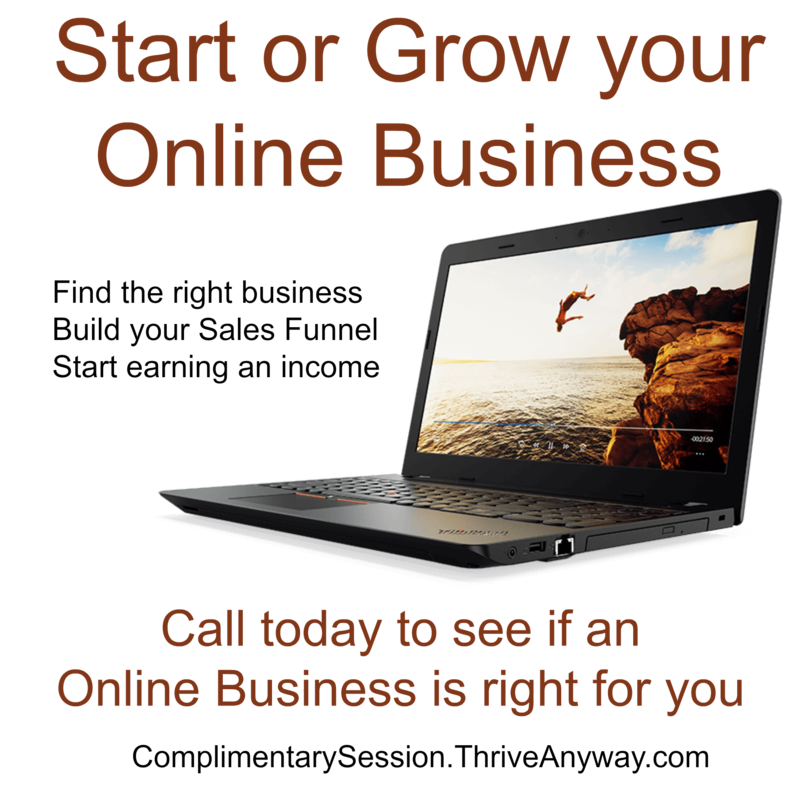 Growing a business online is one of the most rewarding and fruitful things you could be doing right now. The world is your oyster and no matter how old you are, you can build a solid future online. So, if you are doing that, congratulations. Yet, if you feel overwhelmed being chief cook and bottlewasher, you may need a little support sometimes, don’t you? You could have had a partner, but you REALLY wanted to do this alone. Either they didn’t have the same passion or values as you do or you didn’t want to lose control of your business let alone 50% of your profits. 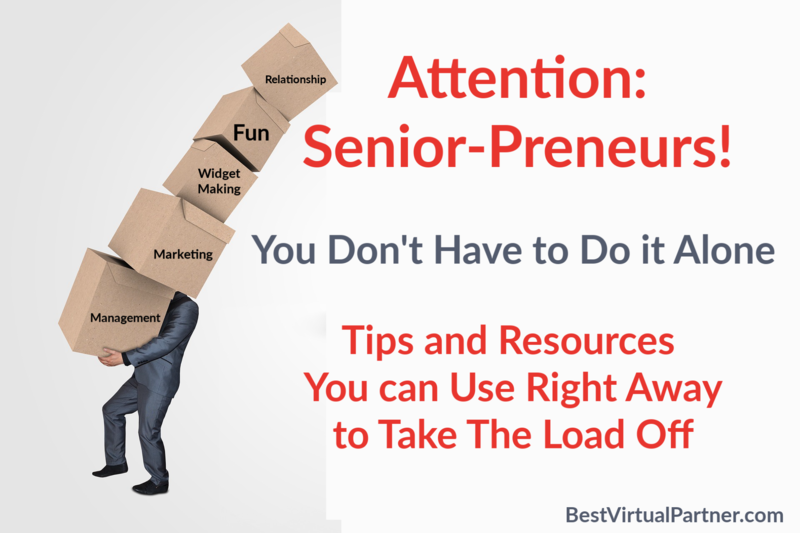 As a Virtual Partner for Senior-preneurs, I am here to share Tips and Resources you can use right away to take the load off. These are just a few of the tools I pass along. It’s the ‘tip’ of the iceberg. So, if what you need isn’t below, contact me, I’m your resource queen. Marketing – From website building, graphic design to social media marketing – If you want to stay doing what you do best, then find someone who can do it for you at an affordable price. Outsourcing is THE way to go to manage your business and keep you focused on your trade. Fiverr.com – This used to be a site where everything was $5. Not so much anymore. They now range from $5-$995. But you still get amazing deals here. Search for anything you need. 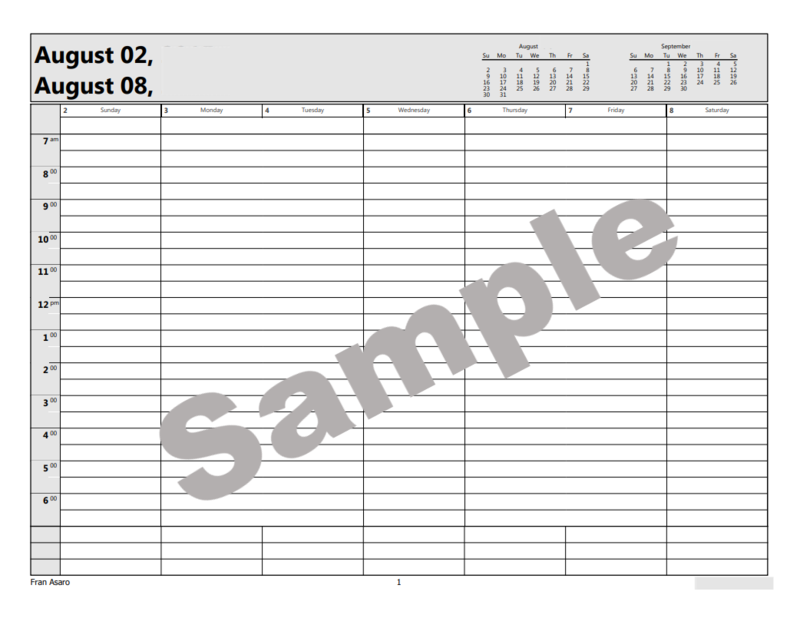 I needed a fillable PDF order form with a countdown built-in to limit characters in a field and there was someone to do that! And it only cost me $25 AFTER I spent hours trying to do it myself. I’ve used Fiverr for many different projects from logos to animated videos. Take a look at how they can help. Upwork – I have hired many freelancers and my clients have as well. You can hire someone for a one-time project or a full-time employee. You can save money by hiring out of the country or you can hire only those from the US. I do advise you to sign up for a complimentary 15-minute orientation call with them. You will be amazed when you see how much you do from this site and how you can run your business more simply. Many fortune 500 companies use Upwork, so why shouldn’t you? You can search with all your specific criteria from an hourly rate, experience, and location. Give them a try. 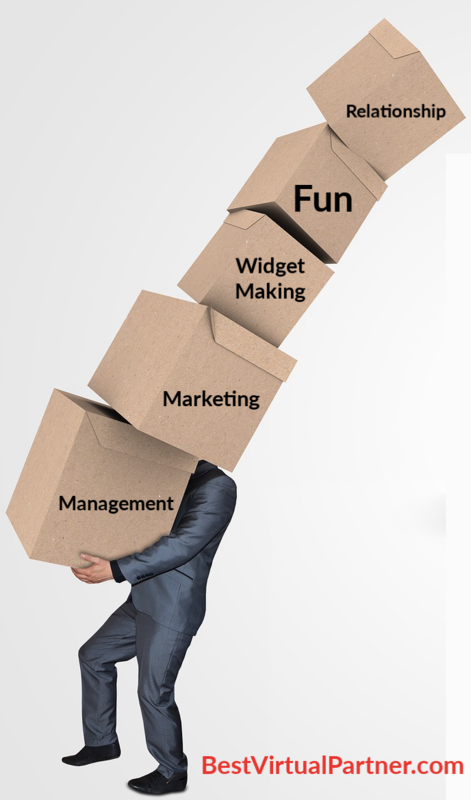 Management – If you are looking for someone to carry out your marketing campaigns, help you prepare for events, do just about any administrative task you can think of but you don’t want to provide a desk for them … then you want to hire a Virtual Assistant. Hiring a Virtual Assistant requires you to know what you want first. Some don’t realize that they can have several V.A.’s. So, don’t worry if you can’t find someone who does it all. I’ve hired a few at a time and it worked out great. Take some time to search and interview for the right one(s). Learning – If you need to learn something new and quick, you don’t necessarily have to GO to school. I love online learning and have gotten so much from many sites. Some may seem obvious, but others may be new to you. If you’d like to learn more about business management or social media or even if you want to learn how to do a PowerPoint presentation or create an Excel spreadsheet with formulas, there is someone teaching a class about it somewhere at a VERY affordable price. If you want, you can even pay to further the education of your new Virtual Assistant! I would like to suggest that every entrepreneur spend a designated amount of time each week to learning, staying up to date and mastering their trade. DON’T BECOME A DINOSAUR! 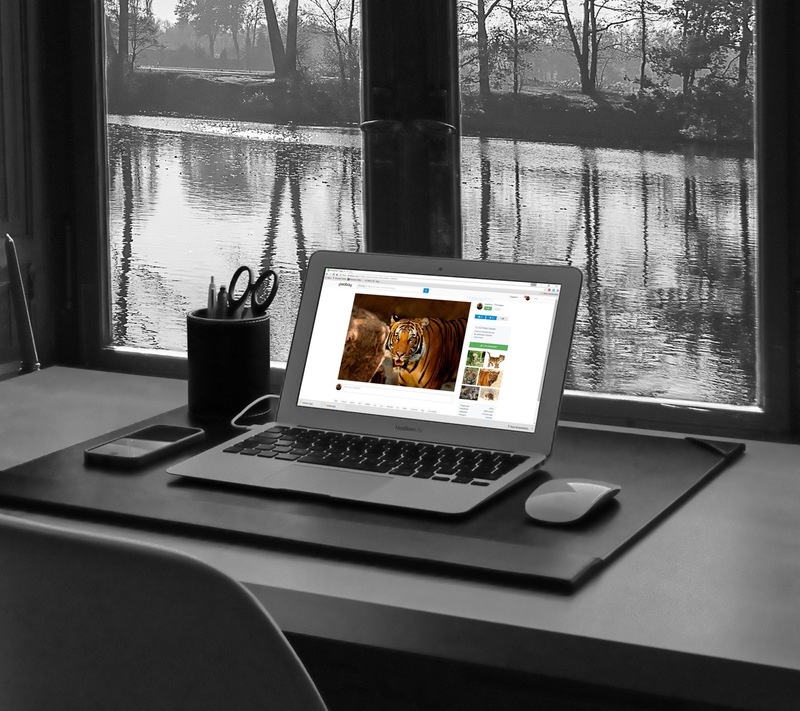 Udemy – Online learning at a very affordable price. Some of the classes are as low as $10 and they even have Free classes. Many of them have a sample session, so I suggest you listen to the instructor to make sure their way of teaching and even the sound of their voice resonates with you. Don’t just be romanced by the syllabus. Balance Life and Business – Now that you’ve gotten some support in managing your business, what will you do with all that extra time? Hopefully, you will spend some of it doing joyful things. One thing I do recommend is that you take time to unwind. Spend time NOT thinking about your business. While this may be difficult for some (me included) It’s not a luxury. Your balance is a priority when it comes to keeping your stress levels down and your alertness and energy high. Think of this time as a mini-vacation, not a task. Here are some of my suggestions. Transcendental Meditation – I have been meditating for over 30 years. I had various methods from visualization, vibrational, guided and just plain sitting in quiet. I took a TM class a few years ago and found it to be extremely helpful even for me. I took a newbie there who could never meditate and they truly enjoyed the new way to relax. You don’t have to spend money on learning TM, you can find your own way to reconnect with your inner self. Unplug – YES, turn off your electronics! I know, it seems crazy, but when there were hurricanes in Florida, we would often lose power. During that time, while everyone was frantic about not having their gadgets, I found such peace and pleasure and found it was truly healing my mind and body to not be plugged in. Now if you knew me, you’d know that I am attached to some type of device 24/7. I sleep with my phone and I’m on my computer all day. And still, I find unplugging is one of the hugest gifts I can give to myself. Try it, you’ll like it! And for those who often tell me they can’t turn off their phones due to a person or two who needs them, put your phone on Do Not Disturb with one of these conditions. Either set it so those who are your FAVORITES can get through (only if you don’t have too many) or you can set it to the ring twice setting and those who really need you will call twice to get through. I find that a great tool and I don’t worry about those trying to reach me. Nature – For goodness sakes get out of the house! If you are an online business, chances are that you spend WAY too much time inside. Take time to get out. Not to shop or to socialize. (even though they are good too) Get out of the house to connect with nature. Go to the beach, the mountains, the park. Be in silence. Regroup, replenish and revitalize. You deserve it and your clients deserve to have a better you as well. Volunteer – Before I became an entrepreneur I used to volunteer often. Now I don’t get to as much because I work many hours. Volunteering is so beneficial that I think I will write a blog about it (look for it soon) Take time to get out of your own life and thoughts and into contributing to others. You’ll be amazed at how that changes perspective. Find something simple to do – Play with your pet or child (or someone else’s), expressive dance, float in the pool, dig your feet in the sand or even hug a tree. Something that’s nourishing you on a cellular level. Support – from Emotional, Professional, Personal and more. Well, that’s where I can make a difference. If you find that you need support for your business or personal life, take a look at what I do. I’m a Virtual Partner. It’s a service that senior-preneurs have been gifting themselves with. I love helping Senior-preneurs by partnering with them on many levels from building their business to balancing their personal life, to helping them find relationships. I am a senior who cares and I want to make sure you know that you don’t have to do it alone. Take a look. I hope these few tidbits helped some. As I said, I have thousands of them to share. If you have questions about your business or just want to share, please comment below. If you’ve ever seen and related to this iconic moment in the movie Fried Green Tomatoes you will want to keep reading. This scene is where Kathy Bates’ character gathers up every ounce of her power and refuses to be taken advantage of any more! 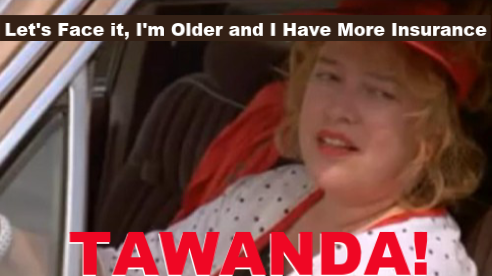 The declaration TAWANDA that she yells out has been in my vocabulary ever since, whenever I connect to my inner strength or WANT to. So why am I sharing this with you? Because as we get older, we often feel a little ‘less than’ our younger counterparts. We may feel as though we can’t keep up or that we are having trouble coming to terms with our age at some level. Some of us feel less attractive than the young’uns (and this goes for men as well as women), while others long for the good old days when they were unstoppable. I’m here to declare that we Boomers still have it. We are still millions strong and we still carry a lot of weight (don’t say it ). I want to take a few moments to acknowledge those of us who are older and wiser. We are a community and I would like to keep it that way. We don’t even know each other and yet… we KNOW each other. No matter where we are from, chances are that we’ve watched the same TV shows, seen the same movies and had a similar upbringing. Our history is different than anyone else’s and only we can relate to it. We know what it’s like to be older than a lot of todays technology and yet, if you are reading this or writing your own blog, you are probably doing OK in that area. We have become so much younger than our parents were at this age. Young enough to stay active, start businesses and be incredible role models for other generations. Even the movie industry is catering to our age group because we STILL have buying power. We still OWN this country. Our music is timeless. We had the Beatles and Woodstock for goodness sake. What can ever compare to that? I’ve always loved being a boomer, we were ‘it’. I am proud to be a part of a community that is so diverse yet so connected. You are my family at some level. You are my people and I’m so happy to grow older with you.